In an age of increased accountability and reduced budgets, school districts are under great pressure to balance the diverse needs of their students and staff with limited financial resources. Looming fiscal challenges with the increase of pension costs and medical premiums have made it even more important for school districts to reduce costs and optimize the use of currently available resources. How can school districts reduce operational costs while avoiding layoffs? It's possible. But the answer requires first identifying all the hidden cost centers within your institution. From streamlining hiring practices to managing purchasing more efficiently, there are tremendous cost savings to be made by optimizing your existing system processes. Join us for a presentation and discussion on how to best prepare for the future fiscal challenges while addressing the immediate financial needs of your school district. Gabe Soumakian is principal consultant at Soup Du Jour Consulting. 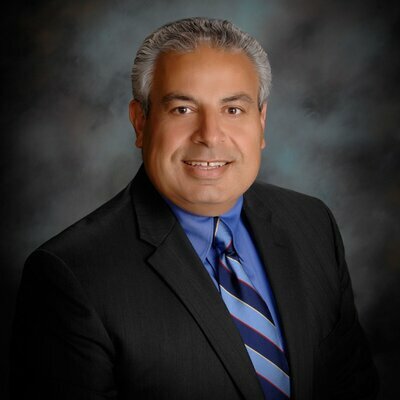 He is a former superintendent at Oxnard Union High School District, and prior to that served as an assistant superintendent of human resources in the Burbank Unified School District. He is involved and presents regularly with leading associations, including AASA, ACSA, CSBA and CALSA.